As a citizen of Halifax, I wish to question why HRM council has deferred the question for the cost of a Canadian Football League stadium to city staff. The cost of this request is sure to amount in the tens of thousands of dollars, which taxpayer money is being used to determine. So, right off the bat the taxpayer is bearing the brunt to establish a business case for a stadium, when CFL advocacy group Maritime Football Ltd. should be footing the bill. Judging by what happened during the July 17, 2018 council meeting, the public did not hear of any business case presented by Maritime Football Ltd. Instead it was HRM council that has asked city staff, at taxpayer expense, to do the work the group, as told by the mayor, councillors and premier Stephen McNeil, would have to do to determine if the stadium should be partially funded by the taxpayer. This is purely an exercise of duping the taxpayer to pay, once more, to make already rich millionaires even richer. In my mind, council should not have passed the buck to city staff and instead should have stuck to their word of waiting for a business case from the Maritime Football group. Unless I missed it, the consortium was not even present at the council meeting in question. 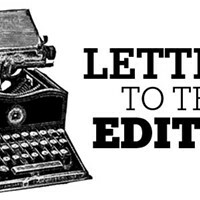 I'm an avid reader of The Coast, and I have to say something about the recent Voice of the City by C. Brian Mintus ("Poor history of hiring Black workers continues," June 14). I have worked at the shipyards for 35 years, and I've worked with a lot of African Nova Scotia employed there as well. What's this ("Public takes debate on Halifax's new cannabis bylaws to social media," Weed Talk story by Sandra C. Hannebohm, posted July 21 at thecoast.ca)? A balanced article with representatives from both sides of the discussion? In The Coast!? Way to go, Sandra!